Lovers of Chester Zoo have raised £140k after the tragic Monsoon Habitat fire. 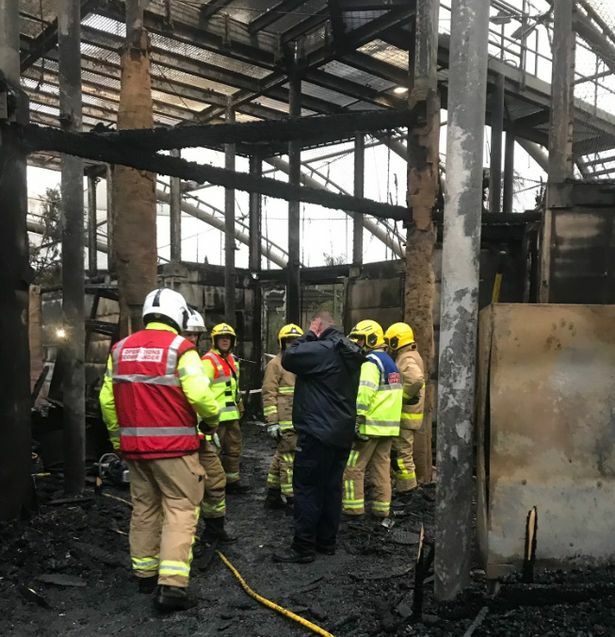 On Saturday 15th, 2018, fire crews were called to a blaze that had broken out in the monsoon habitat at one of Britain's largest Zoos, Chester Zoo. Only a few days have passed after the tragic accident occurred where several animals were killed and the public has gotten to work, showing their support and raising huge amounts of money, currently totaling to around £140,000. Chester Zoo's CEO, Jamie Christon, told us in that "the whole Chester Zoo team have been humbled by the incredible amount of support and kindness from the local community, our members, visitors, and the general public." It has been confirmed that all mammalian species such as the "critically endangered" Sumatran Orangutans, Sulawesi Macaques, and silvery gibbons were saved from the blaze, however, several species such as the cinnamon frogs, tentacled snakes and some species of bird were unable to be saved by zoo staff and firefighters. There has only been 1 reported human casualty that was treated by paramedics for smoke inhalation. Are you looking to help out Chester zoo after the devastation monsoon fire?